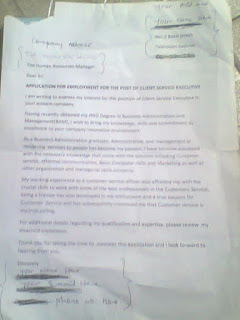 I am writing to express my interest for the position of Customer Care Officer in your esteemed company. Having recently obtained my BSC or HND in Business Administration and Management (BAM) in Amodu Bello University or The Federal Polytechnic , I wish to bring my knowledge, skills and commitment to excellence to your company's innovative environment. 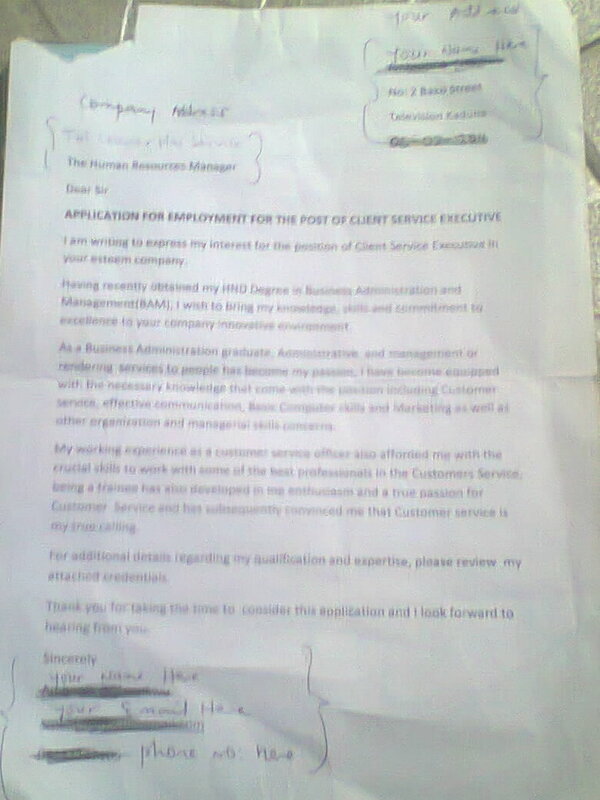 As a Business Administration graduate, administration and management or rendering services to people has become my passion, I've become equipped with the necessary knowledge that come with the position including Customer service, effective communication, Basic Computer skills and Marketing as well as other organization and managerial skills concerns. a true passion for Customer Service and has subsequently convinced me that Customer service is my true calling.